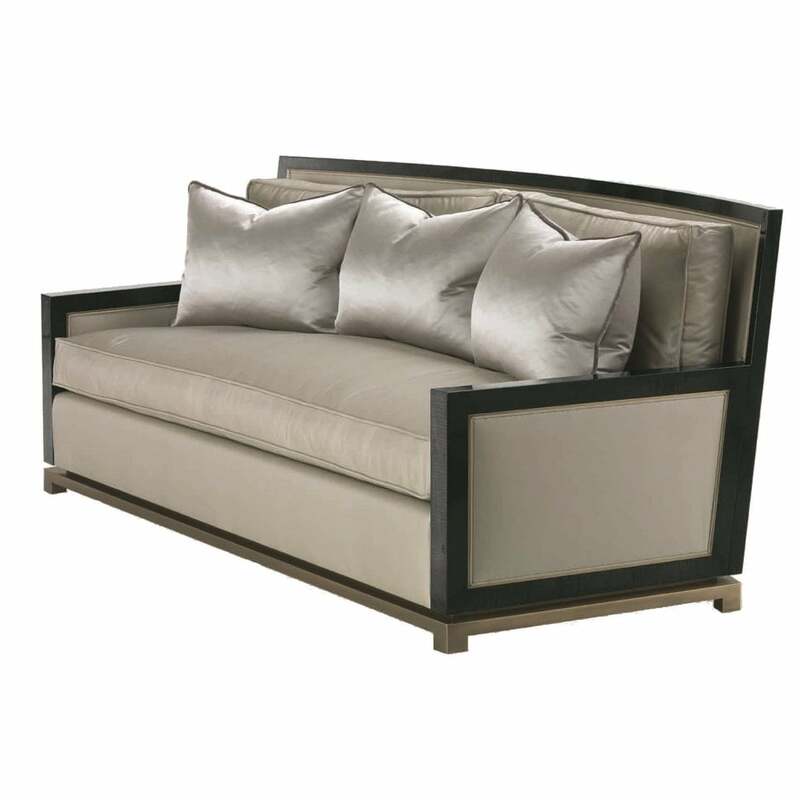 Bronze Sofa V. Nod to the Art Deco era of the 20's & 30's. Glamorous. Hollywood films. Stunning formal sofa with wooden frame and upholstered panels. Priced here in the brands fabric but also available in any fabric of your choice - please contact us for further information. Comes with 3 x decorative scatter cushions. Figured Sycamore stained dark grey in high gloss finish, bronze trimming detail inside/outside back and arms, bronze base; seat and back cushions padded with a core foam with feather wrapped all around, upholstered and piped in Armani Casa ‘Canberra’ fabric range, colour Tortora. N. 3 decorative loose cushions. Ultimate comfort. Works well with tones of blue and green. Would equally stand out in a monochromatic design scheme.